Using the newest techniques and own CAD engineering we have developed these exceedingly well manufactured stringing machines which are also extremely good value. 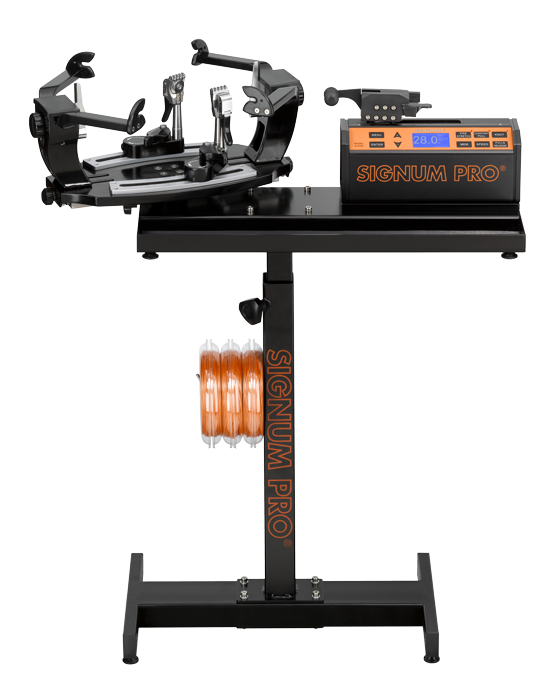 Computerized, electronic stringing system for professional users. New developed linear pulling tension head for very comfortable and fast stringing, including new longlasting string gripper, made of hardened steel. Very exact tension adjustment in steps of 0,1 kg/lb from 4,5-40 KG or 10-90 LB using high accurate sensors. 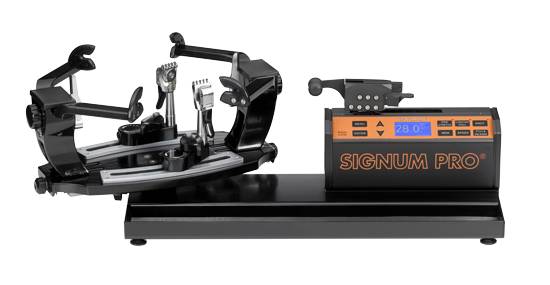 New high resolution LCM-screen and big keypad with many special functions as constant pull, pre stretch, various stringing speed, various memory keys, knot, sound and more. Fast pull switch on the gripper for one hand use. 6-point self centering mounting system for all racket sizes, also squash and badminton. 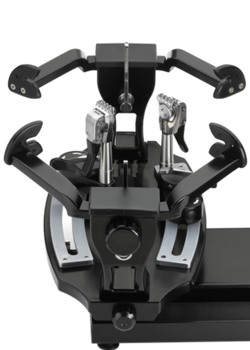 each 2 arms(with side supports) of 1 center tower and both center towers(with center supports) together can be moved and fastened simultaneously and symmetric by turning only 1 center knob. High quality swivel clamping system with diamant dust coated inlays for perfect grip without damages, furthermore an auto relase locking system of clamp base. 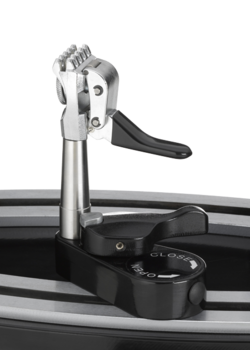 The locked clamp base release automatically if you let fall down the upper part oft he clamp. Available as desktop or stand machine, stand machine is height adjustable and has a string reel holder.